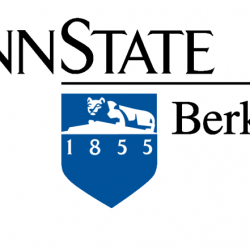 Penn State Berks is pleased to announce that its initiative formerly known as the Center for Service Learning and Community-based Research is going through some changes this fall. The Center will now be known as the Center for Academic Community Engagement (CACE). While its mission remains the same, plans are underway to expand the scope of its work. In 2018, the Center was honored with the Penn State Award for Community Engagement and Scholarship. Building upon the award-winning foundation established by Dr. Laurie Grobman, CACE plans to establish partnerships with agencies focused on social justice and social entrepreneurship, and mentoring/tutoring programs for the under-represented populations of the Greater Reading area. CACE also announces a change in leadership; Dr. Donna Chambers has been named director. Chambers is an assistant teaching professor of Spanish at Penn State Berks. She brings over a decade of relevant experience to the position, having served as the director of the Community Based Learning Center at Franklin and Marshall for seven years, in addition to previous related experience at other institutions. Chambers and Dr. Belén Rodríguez-Mourelo, division head for Humanities, Arts, and Social Sciences and professor of Spanish, are currently representing CACE at the University of Split in Croatia. During their visit, they are offering training workshops on service learning and best practices. The workshops are delivered to professors, students, and community partners to establish the groundwork for implementing a service-learning program. After the visit, CACE will continue to host regular exchanges of scholarship and undergraduate research with the University of Split. Chambers and Rodríguez-Mourelo plan to write and submit a journal article about their work at the University of Split for publication. Immediately following the workshop at University of Split, Chambers and Rodríguez-Mourelo will participate in the IX Spanish & I European Conference on Service-Learning in Higher Education in Madrid, Spain. In October, CACE will be represented at Penn State University Park’s Service-Learning Conference and Exhibit to showcase the projects completed by Penn State Berks faculty and community partners.